You may take one long look out of your window and make a decision there and then that it is time to spend a little more time indoors. I know what you mean. The winter months are here and they are here to stay for the foreseeable future. This means cold weather, it means wind and it’s means rain. Although, sometimes we are blessed with those cold crisp fresh days and often these days are some of the best to get outside. We know that being outside is good for our wellbeing and mental health. The change of scenery and the fresh air can do the world of good. But I also understand that if you glance out of your window upon a less than inviting garden space then you can be more inclined to head out the front door and go somewhere else. If you are fortunate to have an outside space and garden, then this is the ideal spot to enjoy when you do need to get that dose of fresh air. However, garden maintenance isn’t for everyone, and sometimes people just don’t know where to start. Having left your garden unkempt and messy for sometime it can feel like an impossible task of the amateur gardener. As we are now in the winter months this is a great opportunity to invest some time into your garden and have it a ready and usable space for when the spring starts, so I thought I would share with you my complete guide to helping improving the look of the garden. Don’t be fooled, even if you do find this article in the future during the spring and summer, these tips can still be applied. It’s time to embrace the green fingers. A decked area is a great way to add a different dimension to your garden space. Often they can be slightly raised offering an elevated position overlooking your garden. It’s a great area to relax. Placing some of your best garden furniture on there will encourage you to enjoy simple tasks outside like drinking a cup of tea or reading a book. Which on those days where we need that dose of fresh air, this is likely to make it far more inviting. You may also want to eat outside more when the weather starts to improve, entertaining friends and family. A decked area could be used in so many ways and could transform how your garden looks with very little investment needing to be made. For many, your lawn covers the majority of your garden area. So if it is long or untidy, then it may let down your whole outdoor area. This is why it’s important to ensure you cut your grass regularly. Neatening up the edges to give a neat and finished look. Although now that weather I starting to turn, you may be wondering if you will have the opportunity to do it. But the minute we get a dry day, this is the ideal time to do it, and during the winter the growth of the grass slows down, so once it is done you may not even need to think about it again for some time. 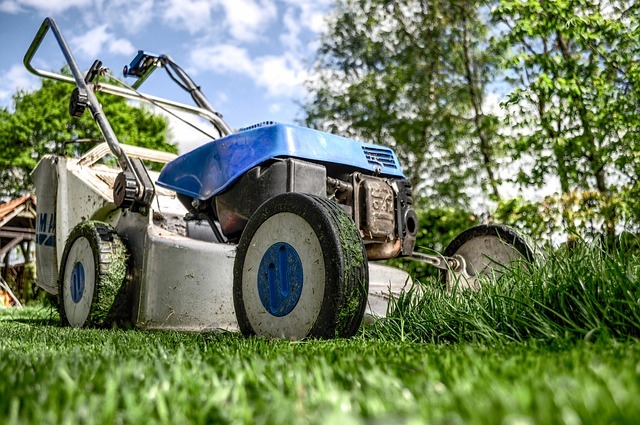 However, I also appreciate that sometimes you may not have the time to do it, and this is when things like ABC Lawn Care Services could be worthwhile looking into. Sometimes services such as this can be booked in advance and so having it on a schedule means that your garden will always look neat and tidy, and maintained. It is definitely something to think about. Sometimes it is the simple details that can give an outdoor space the wow factor. Placing pots and hanging baskets around the exterior of your home can increase your kerb appeal, as well as your back garden space. If you are not particularly great at gardening, you may find that some stores will do this for you. This enables you to add a little bit of colour and style to your garden, without the need to overface yourself with extensive flowerbeds. It is definitely one to consider if you think you are more of an amateur gardener. You could also use pots like this to start growing your own vegetables. There is a lot of focus around being self sufficient right now, and so using your garden to grow some vegetables could be an amazing step in the right direction for you. Plus it could be a great hobby to start to encourage you to be outside in the garden more. A garden can look very green, especially if you have such a big lawned area. So it’s important to add a pop of colour every now and again and using your flower beds to do it is one way. Planting pretty flowers or low maintenance shrubs can transform the way your garden looks within a few hours. Speak to local garden specialists about what flowers may be best for where you live. 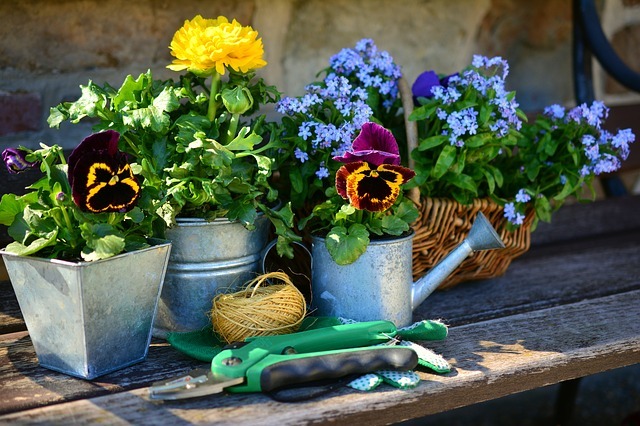 There are plenty of options to choose from and some of them can be ideal for the amateur gardener when it comes to maintenance and taking care of them. I know that some people consider a garden to be a living thing, however, not all of us have the time, the patience or the energy to keep a garden looking pristine. It might not even be of interest to you. So why not fake it? More and more people are looking into the options of artificial grass and using artificial flowers and shrubs as decoration in their gardens. It is an easy way to ensure that you garden looks great, without the need to invest your time into making it happen. If you are wanting to take your gardening expertise to the next level, and perhaps really transform your outside space then thinking outside of the box when it comes to decorative options might be the answer. Many people are enjoying the option of raised flowerbeds, and using materials like railway sleepers to create them. The material is also a feature in itself but it enables you to build in the flower beds ready for what you want to plant in them. You could also look at areas in your garden and create some built in features. Using bricks and stone to create an outside oven or BBQ, perhaps even adding in other features to create an outdoor kitchen. You could use different materials and upcycle furniture to create sitting areas or other features in your garden. Making it more of an extension of your home than just the outdoor space. Finally, there is no point going to all this effort to create a stunning garden if you are going to allow it to get messy with clutter. So consider adding storage options like a garden shed or box to your outdoor area. These are the perfect places to store garden furniture and tools during the winter months, and can actually be a great way to protect them from the harsher weather to come. A shed can also be used for other things, such as an outside office or area in which to relax in away from the home. I hope this has inspired you to spend a little more time in your garden. Next: Fitness FlipBelt up to 55% off!